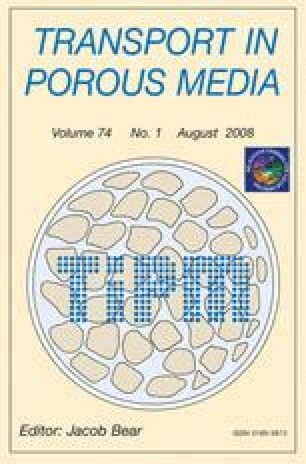 Experimental data show that the groundwater transport of radionuclides in porous media is frequently facilitated when accompanied with colloid particles. This is usually explained by the size exclusion mechanism which implies that the particles move through the largest pores where the flow velocity is higher. We call attention to three other mechanisms which influence the colloid particle motion, while determining both the probable transport facilitation and retardation. First of all, it is shown that the transport facilitation may be significantly reduced and even transformed into a retardation due to the growth of the effective suspension viscosity (a friction-limited facilitation). Secondly, we will show that the transport of particles through the largest pores can be retarded due to a reduced connectivity of the large-pore cluster (a percolation-breakup retardation). Thirdly, we highlight the Fermi mechanism of acceleration known in statistical physics which is based on the elastic collisions between particles. All three effects are analyzed in terms of the velocity enhancement factor, by using statistical models of porous media in the form of a capillary bundle and a 3D capillary network. Optimal and critical regimes of velocity enhancement are quantified. Estimations show that for realistic parameters, the maximal facilitation of colloid transport is close to the experimentally observed data.